Good afternoon! I really want more justice for this child and keep coming back to this thread everyday. In fact, it is in my favorites so I can click directly here. But the lack of any real human emotion on the part of the key players makes my blood boil so I should stop torturing myself. My ex husband had a RURAL Kentucky education to the 8th grade. When we married he could read words but not understand context. He wanted to be a carpenter and his only goal was to learn to read blueprints. He has had his own company for thirty plus years now, own beautiful homes in Ohio and Ky, and his wife never has to work. Thus, questionable DNA, poor family life and education, sleeping in our car, etc. was only a reason to get better. Sinking to lower levels was not an option....the status quo was not an option. Here we are in our fifties and the status quo is still not an option. We have close family that chose differently. They know the "pipeline" from Ohio to Florida. It's a normal activity. You need several hundred dollars cash. You take the two day trip to Florida, hit the doctors offices paying with cash. They prescribed large amounts of the pain pills that must be filled in Florida, again, for cash. Then back home. The pills are for personal use but they sell to recoup their investments etc. These are road trips to them. If you have ever seen the show "intervention", one of the families was highlighted. What a joke...they were there to intervene for one person while the entire family was involved one way or another. It is a lifestyle that is well known and I do not see anyone cracking down on these drug mills in Florida. We have them here in Columbus as well,with a pipeline from KY to Ohio. You can count the out of state tags at these well known places and even watch deals in the parking lots. The amount of money that can be made is ludicrous' they can make more money having fun than I can make full time on a county job ( pay was good ). but they sure do not live like they have access to that kind of money. I guess it just all makes me crazy. It is not just the drug use or dealing...it is the horrendous life that traps the children. There are so many little Haleigh's we do not read about, and so many people with the same mind sets as the Croslins and Cummins. Have you seen any REAL tears from the Croslin clan concerning Haleigh? It is all Lip service and show. They like being the center of attention and they only cry for theirselves. OFF SOAP BOX AGAIN. I need to stay off Haliegh's thread . Feeling like I know these peole I want to smash them, maybe I just see too much of my own in them. Good evening to you my dear! I can't find ONE wrong word in your post! You are a true inspiration! I know several people who wanted to make better than they came from and had the drive to succeed. Some did and some didn't. The lure of the 'easy' life kept them down, you know the one you don't have to work for and can feel good about yourself for! Florida is trying to come down on these pill mills...several now won't let out of towners in but a lot still do. Supposedly one of the new rules for next year is people who pay cash for all these pills will only recieve a 72hr Rx. Now, in the beginning it was only for docs that dispensed in their office but now may extend to all. The new OxyContin had really floored the real dopers and the Roxicodone has a limit on it somewhat. We will see Terri. When someone wants drugs they will find a way to get them and abuse them. Yes, I agree poor HaLeigh was destined to become just like the rest of them. She would have known no better unless something in her had the will and drive to "get out" of her situation. I know I'm a rare one and I thank God I didn't know about drug abuse, divorce and unstability as a child. What I do know I will share another day....! Proud of you and your ex, Terri. Thank you for not allowing yourself to be another statistic! Thanks for confirming what I always suspected, Terri: An 8th grade education in Kentucky is roughly equivalent to a college degree in other states. Published: Friday, October 15, 2010 at 5:24 p.m.
Last Modified: Friday, October 15, 2010 at 5:26 p.m.
Misty Croslin’s sentencing on drug trafficking charges in Putnam County, scheduled to take place next week, has been rescheduled until early next year. Croslin, the 18-year-old Putnam County woman who was with 5-year-old Haleigh Cummings when she was reported missing in 2008, was sentenced to 25 years in prison on a single count of drug trafficking in St. Johns County earlier this month and is awaiting sentencing on seven counts in Putnam. On Friday, the State Attorney’s Office announced the hearing was moved to 1:30 p.m. Jan. 10. I wonder why the sentencing was postponed for almost three months. Has she been sent to prison yet? No Brandi, I believe you is still in St. Johns and so is Tommy. I don't think she will be transfered to prison until after she has been sentenced in Putnam Co. I think something is up. They have kept Tommy in St.John when there is no reason to, that we know of. Something up in Florida. I hope the truth will come out, finally. Just popped in to check on our girl Haleigh and see what I think may be some interesting and good news. I'm praying don't want to jinx it! PUTNAM COUNTY, Fla. -- Misty Croslin won’t be sentenced on charges in Putnam County until 2011, but the last person to see Haleigh Cummings won’t be going far in the mean time. Croslin was sentenced to 25 years in prison on Oct. 8 on one count of drug trafficking in St. Johns County. She faces nine charges in Putnam county. A sentencing hearing was supposed to be held on Oct. 19 on one of the drug trafficking charges, but the sentencing has been moved to Jan. 10, officials said on Friday. 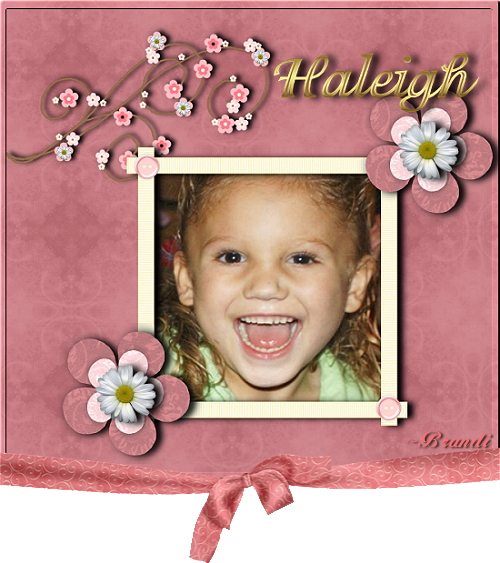 Misty was with Haleigh Cummings, 5, on the night she disappeared in February 2009. Haleigh has not been seen since. Recently, Croslin reportedly told investigators she heard Haleigh Cummings being attacked before she vanished. Croslin, who was the girlfriend of Haleigh's father, Ronald, at the time, was arrested with the child's father in a drug sting. Ronald has also been sentenced to 15 years on similar drug charges. Heart will stay in the jail to await sentencing or will she go to prison ? I don't know 4 Donks, but if I run across any other info I will post. No updates on the Putnam County Clerk dockets. Is it a Wesh typo or has there been an increase in the # of charges against Misty? No other warrants showing on the PCSO warrant site for Misty. Thanks for the reply. I hope this means movement in the HaLeigh case. Not sure I got that either Muffy! Thank you, I knew that 4 donks. And I saw the smiley in her post. But others might not understand, and in the past there have been some from Ky and other states that were upset by similar comments. That's why I put . Even by someone from the home state and with a winky, it might be a slur to some. If sailcat hadn't been from KY, there would have been a big red moderator's remark. It's a good time to get back on topic. Where is Haleigh? Beautiful pic above...I was noticing her teeth, for drug addicts she sure has very nice teeth. I'm glad they at least did one thing right for her. I doubt seriously they took her to the dentist, you never know. A child gone into thin air and not one single person cares enough to speak up, such a tragedy! Sorry if I caused any confusion. I do live - and teach - in Kentucky. I was saying that Terri and her husband were each quite successful with an 8th grade KY education. Of course, it's because of their own intelligence and determination; however, I was getting a tongue-in-cheek plug in for the educational system in Kentucky. (You know, you learn as much in middle school in KY as you do in college elsewhere.) If my comments were misconstrued as a slur, I do apologize. Break in the Haleigh Cummings case? Recently Misty Croslin, the last person to see missing child Haleigh Cummings alive was sentenced to 25-years in prison for drug trafficking. Croslin was busted along with her brother Tommy Croslin and her ex-husband Ronald Cummings - who is the father of Haleigh. Ronald Cummings was sentenced to 15-years for drug trafficking after snagging a plea deal. In exchange for a deal, Cummings gave up new information that he had been withholding from the police. Art Harris reported on "Issues with Jane Velez-Mitchell" that Cummings gave up information concerning a timeline, and information on various players involved in the case. Now just before Misty Croslin faces a judge in Putnam County Florida, to learn her fate for drug trafficking in that jurisdiction, we learn that the sentencing has been delayed for 3 months. Croslin faces basically the rest of her life in prison. In my opinion, Croslin has given investigators new information in the case and authorities need time to make sure the information she has given them is correct before they give her a deal. I got the levity...where in Ky do you live? I hate to get too excited, but I am so hoping Misty is giving new info. I cannot for the life of me understand why she would not have "saved herself" long ago. I CANNOT buy Chelsea's assertion that Ron has Misty in his control and she is willing to give up her entire life to cover for him. I also cannot understand how she would think Ron cared one iota for her once he agreed to testify against her. Hey, Terri! I live in the western part of the state - not too far from Owensboro and not too far from Muhlenberg County - but pretty far from city lights and neighbors. I don't think we're going to figure Misty out. I've been teaching in juvenile facilities for many, many years, and I've worked with lots of "Mistys." They don't think right. I don't know if it's heredity or environment or a combination of the two, but their motives and coping strategies just don't compute into a normal pattern. I check this forum out on a regular basis, and I would love to offer some sort of insight into this person who is so familiar to me - but I can't do it. Maybe Misty can't "save" herself. Look at how many "stories" she has thrown out there, and none of them have stuck. I am beginning to lose hope that we will ever find out the truth about what happened to this precious little girl. Muffy, would you do me a favour please and use this image instead? The image above was not quite completed. 2) the actual perp tell one hundred percent of the truth. If they tried to hedge or downplay the severity, we could not take them 100% at their word. Barring a miracle, the truth will be told amongst family only...Haliegh's justice is that they are not on the street enjoying life. I'll watch "Issues with Sailcat" but if you use the Nighltyl Bombshells I will need to boycott!! It is so ironic I found this site when I saw my first few NG shows. At the time she was doing the Trenton case and I really liked her style...I did not know it was theatrical or in my mind, exploitative. Then, when Caylee disappeared NG was a staple in my home. I soon figured out this was not for me. So, now I check in with NG rarely. I worked for CPS; same experiences you have described. There are a few cases that will be with me till the end. I lived in Eastern Ky. along the Tug river separating KY from WVa. Now, I am looking at Adair County, Columbia Ky. With what is happening in my area, I want my boys "back on the farm". I am thinking that regardless of the fairness, Misty ( or the others involved ) have no reason to be out of prison. If they cannot change then to think about the fairness of thestiff sentences is a mute point. In truth, the only reason I give Misty any thought is in the HOPES she will finally bring peace to this family.